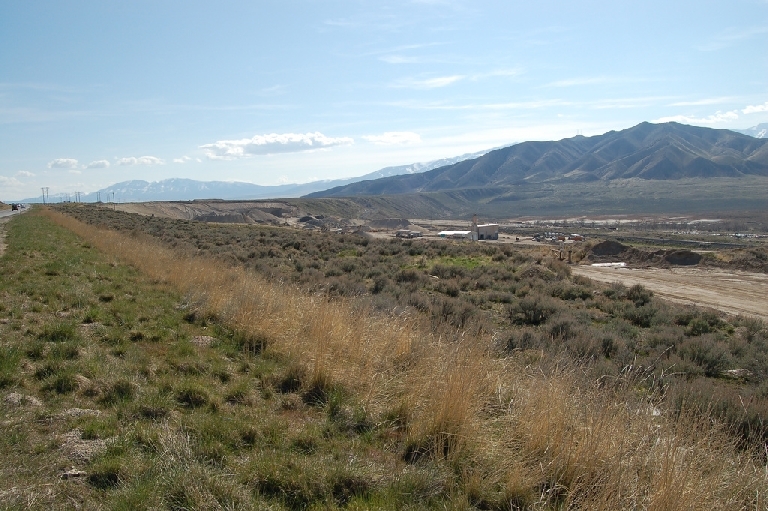 View of the Stockton Bar from South Mountain looking east toward the Oquirrh Mountains. 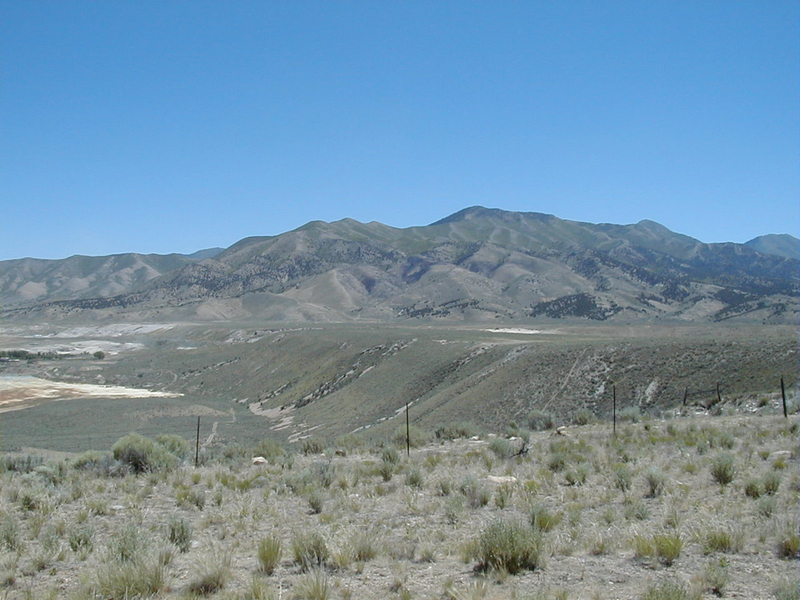 The Stockton Bar, south of Tooele, is one of the largest and most well-preserved shoreline remnants of Lake Bonneville. Lake Bonneville was a large fresh-water lake that occupied much of western Utah during the last ice age. At its maximum level, about 18,000 years ago, the lake was almost 1,200 feet deep and covered over 20,000 square miles. Waves and currents transported sediments along the shoreline of Lake Bonneville and created beaches, sandbars, and spits. These features, now perched high above the desiccated basin floor, provide evidence of this ancient lake. 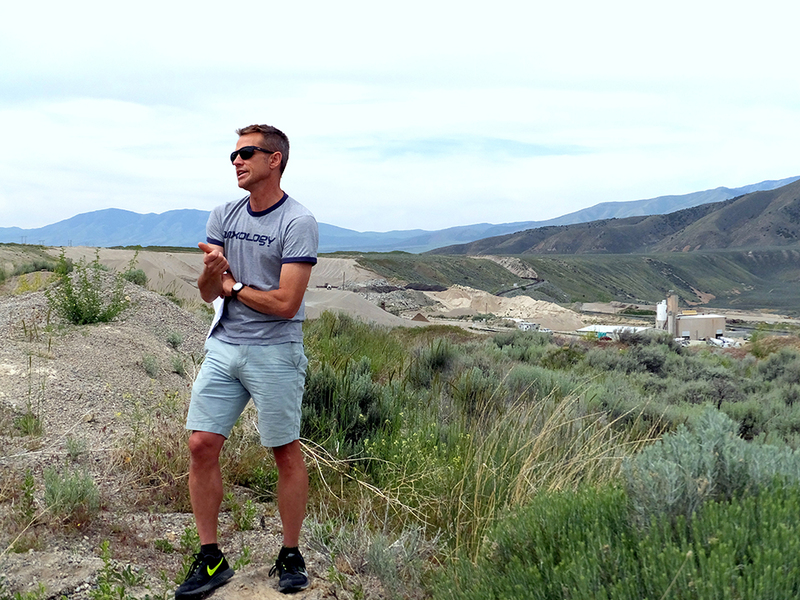 The Stockton Bar formed as waves and currents brought sediments from the north and deposited them in the strait between South Mountain (directly west of the town of Stockton) and the Oquirrh Mountains. The Stockton Bar is actually made up of several sandbars and spits built upon one another as the level of the lake fluctuated. Each sandbar contains unique information about lake and climate conditions at the time it was formed. Wave energy, current direction, wind speed, lake chemistry, and precipitation and evaporation levels are just a few of the environmental conditions that can be interpreted from the Stockton Bar sediments. The deposits of the Stockton Bar are also unusual in that they contain a nearly continuous record of geologic history that spans several thousand years of Utah’s last ice age (most other Bonneville deposits are discontinuous or only span a short interval of time). Few, if any, lakeshore bars can compare to the Stockton Bar in terms of size and quality of preservation. The bar is valued as both a natural landscape and a sand and gravel resource. From Tooele, Tooele County, Utah, drive south on Highway 36 about 5 miles. The best view can be obtained by turning west onto one of the many dirt roads that cross the bar at this point. A profile view can be seen by continuing south on Highway 36 to the town of Stockton. To access the southern side of the Stockton Bar, turn west off of Highway 36 just south of Stockton onto the access road to Rush Lake.